It has been over 1,000 days since the people of Flint, Mich., had clean water, and now the city’s mayor is telling the U.S. Environmental Protection Agency that because of the lengthy construction and testing process for a new water-treatment plant, it will be another two years before the city can treat its own water for lead and other contaminants. 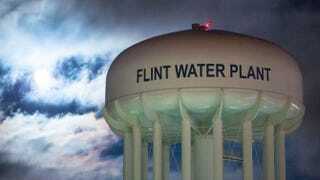 Flint’s water problems began in 2014, when the city’s water source was switched from Lake Huron to the Flint River, which, according to researchers from Virginia Tech, is 19 times more corrosive. The corrosive water caused lead from the pipes to leach into the city’s drinking-water supply. The EPA’s oversight requires that Weaver keeps the federal government abreast of developments in its plan to restore clean drinking water to the city. The federal agency has said it is still evaluating the water source alternatives and plan. According to CNN, the city was also required by the EPA to get public input on its final water source and treatment plan. According to Weaver’s letter, the current proposed long-term water source is Lake Huron, but the city will also select a backup water source for use in emergencies. Flint is currently using water from Detroit’s Great Lakes Water Authority, but that agreement expires this summer. Although a six-month study by the Michigan Department of Environmental Quality revealed in January that lead levels in Flint’s water supply had fallen below the federal limit, residents of the city have still been urged to use filtered water for cooking and drinking. A lot of residents are still relying heavily on bottled water. No, Flint. We are still here with you. We will continue to talk about you until they get you straight. UPDATE: A previous version of this article indicated that the water from the Flint River leached lead into the pipes, which is incorrect. As previously reported on The Root, the corrosive water caused the lead from the pipes to leach into the water system.